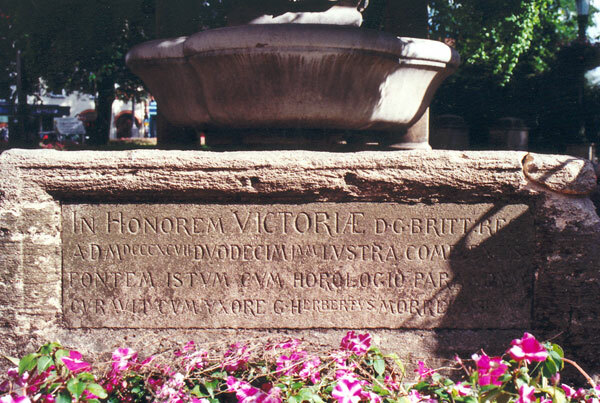 IN HONOREM VICTORIÆ D. G. BRITT. REG. The above inscription, although referring to the clock on the Plain roundabout, is situated just under the drinking fountain. The fountain and clock were not actually officially opened until 1899, two years after the Jubilee. 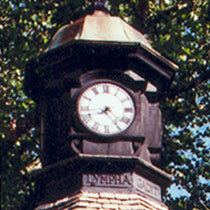 This inscription under the clock, with one word on each facet of the octagonal roof, refers both to the clock and the fountain below.